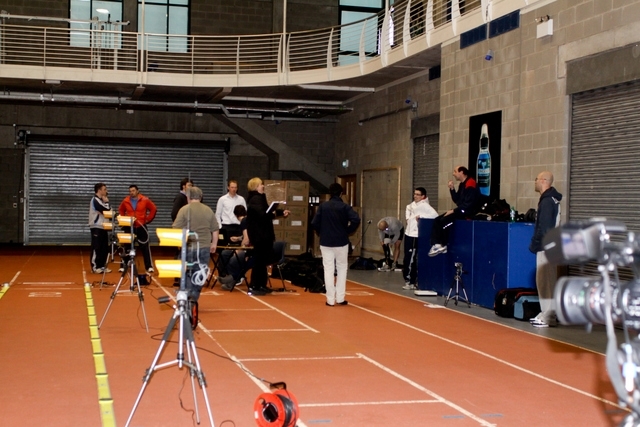 On the 16th of January 2012 we began a journey to have Simon Baker run the Dublin City Marathon. He will be the first below the knee Amputee to do so. We will undergo 9 months of intensive training, but he wont do it alone. He has a professional team behind him. Jason Kenny, Strength Training and Nutritional Coach of Forever Fit Promotions, who will head up the project, along with Alan Ward National 50mtr Pool Manager of the University Arena, Neasa Canavan (Education and Health Sciences Physiotherapy, University of Limerick), Drew Harrison & Ian Kenny , Biomechanics (Department of Physical Education and sports sciences , University of Limerick), Orla Smyth (Sports injury therapist), Ber Angley & Adrian Mc Donogh (Education Technology) Also on board providing 24hr service is Jan Ottoson & Donna Fisher from IDS Independent Disablement Services & Otto Bock and Dave Mahedy Arena Manager, University of Limerick. 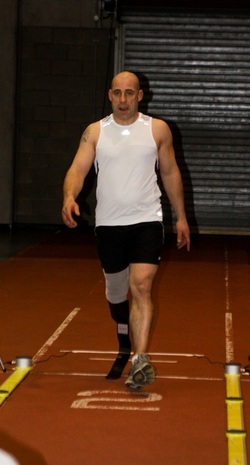 Simon lost his leg in 2004 from a building site accident. Simon worked as a Plasterer for 20 years. The incident that changed Simon Bakers life in 2004 appeared trivial enough; it was the simplest of accidents that caused him to fall 12ft shattering the bones in his leg. After months of heavy medication, failed operations and countless hospital admissions he made the life changing decision to have the leg amputated below the knee. Simon made this difficult decision so that he could regain control of his life and begin recovery. Once the surgery was over Simon found himself in an unfamiliar place with financial and employment worries. In 2008 after a battle with depression Simon realised that he needed a challenge to turn his life around and this took the form of completing the Dublin Marathon which he completed earning himself a place in the Guinness Book of Records (Fastest Marathon on Crutches on One Leg). From this day on Simon decided to set himself a challenge each year with his end goal to run a marathon in under 3.5hrs. With the help of his Personal Trainer Jason Kenny and the OUT ON A LIMB team this dream is closer than ever.